On 19 February 2018 the President of Russia signed three federal laws[i] which extended the capital amnesty campaign and timeframes for tax-exempt liquidation of foreign companies and unincorporated structures. The new capital amnesty campaign will last from 1 March 2018 through 28 February 2019. The new campaign will be available to new declarants and to those who already participated in the previous 2015-2016 campaign. The declarants will receive the guarantees with regard to acts committed prior to 1 January 2018. The guarantees will be comparable to the scope of guarantees provided in the previous capital amnesty campaign. The special declaration may be filed only once with any tax authority starting from 1 March 2018 up to 28 February 2019. Participation in the second phase of the capital amnesty may be a balanced decision for those who have decided to restructure their foreign assets, declare them to the Russian tax authorities and minimize the potential risks related to owning foreign assets and transactions made with those assets in the past, especially in light of the upcoming activation of global automatic exchange of financial information (under the CRS standard). The adopted amendments exempt individual declarants from administrative liability for violation of currency control regulations when using foreign bank accounts that were opened before 1 January 2018. The amendments concern those bank accounts that remain open when the special declaration is filed, as well as ones that have already been closed. All transactions (both inflow and outflow of cash) on those accounts completed before the date when the special declaration is filed are considered to be compliant with currency control regulations. This excludes the liability of the individual account holders for rendering currency transactions in violation of the currency control regulations. Kindly note that the administrative responsibility for currency transactions rendered in violation of the regulations is a penalty in the amount of 75–100 percent of the transaction’s amount. The declarant who has filed a special declaration shall be exempted from liability (penalty) for late filing of notices of participation in foreign companies (or of establishment of foreign unincorporated structures), of controlled foreign companies, and also of opening (closing) foreign accounts (deposits) or of change of bank details. These notices must be filed with the tax authority together with the special declaration. At the same time, it is still a question whether the penalty will be imposed for late filing of cash flow reports. An individual declarant may now apply a tax deduction when selling securities, other property and/or property rights received from a nominee holder. The amendments limit the right of the tax authorities to collect tax that became payable before 1 January 2018 from declarants and other persons. This rule applies to tax that became payable in connection with transactions for the acquisition (formation of sources of acquisition), use (disposal) of property, property rights and/or controlled foreign companies, and in connection with opening accounts and crediting funds to accounts specified in the special declaration. However, the tax authorities may still collect taxes payable on profits and property of a CFC. The scope of the guarantees under the capital amnesty campaign does not depend on whether the declarant specified an information in the special declaration regarding the source of acquisition (methods of forming sources of acquisition) of the assets being amnestied. Amendments have been made to the Criminal Code (the Criminal Code) providing for exempting declarants from criminal liability if it is discovered that illegal actions containing elements of crimes under Article 193[ii], parts one and two of Article 194[iii], Articles 198[iv], 199[v], 199.1[vi] and 199.2[vii] of the Criminal Code occurred before 1 January 2018. Please note that the declarants are not exempted from criminal liability for committing other economic crimes (e.g., for committing acts containing elements of fraud). The period for liquidation of a CFC in which individuals controlling the CFC may receive the property of the liquidated CFC without paying tax has been extended to 1 March 2019. In addition, it has become possible to receive not only property and property rights, but also monetary funds without paying tax. At the same time, the amendment applies to the period starting from 1 January 2016. Therefore it has become possible to refund tax already paid by individuals when receiving funds from a liquidated CFC. The period in which a CFC undergoing liquidation may not be considered a Russian tax resident has been extended up to 1 March 2019. 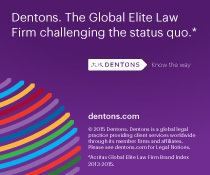 Dentons’ Russia Tax practice has considerable experience assisting with projects related to the capital amnesty campaign, as well as to declaring and liquidating foreign companies, and also in assessing risks of using foreign bank accounts. Dentons’ Russia Tax practice will be pleased to provide you with comprehensive legal support in connection with the adoption of these amendments.